Warren Wilson has been profiled in the guide 12 times in the past. Warren Wilson College was named one of the top 20 “Best Buy” colleges nationally in the Fiske Guide to Colleges 2019. Warren Wilson was one of only 10 private colleges to make the list. “Under the school’s new North Carolina Free Tuition plan, all North Carolina residents who qualify for federal or state need-based financial aid will have the rest of their tuition covered by the college for all four years,” the Fiske Guide noted for Warren Wilson College, highlighting the new free-tuition program for in-state students, which is among several new scholarship initiatives started at the college this year. This edition marks the thirteenth time that the Fiske Guide to Colleges—known as the “top independent voice in college admissions”—named Warren Wilson College as a “Best Buy School.” The list is much shorter than in previous years with only 20 colleges, down from 38 schools last year. 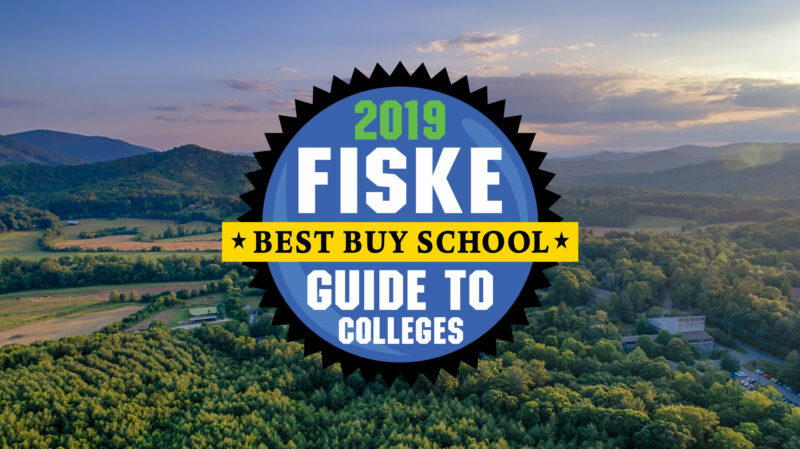 “It is a tremendous honor to be named a ‘Best Buy School’ by the Fiske Guide to Colleges, and we are thrilled to be featured again on this year’s shorter list. This guide is an excellent resource for students who are trying to find the right school for them. Warren Wilson College is committed to providing high quality, integrated, experiential education at an accessible, affordable price,” Warren Wilson College President Lynn M. Morton, Ph.D., said. “The signature feature of the WWC curriculum is its unique three-part education program, which combines liberal arts coursework, community service, and campus work,” the Fiske Guide explained. As in previous years, the guide also noted the value of Warren Wilson’s work program, which requires all residential student to work on campus, “a practice that helps keep tuition down,” the Fiske Guide notes. The guide emphasized Warren Wilson College’s “strong international and social justice orientation,” and named several majors as “strong programs”: Environmental Studies, History and Political Science, Psychology, Creative Writing, Art, Outdoor Leadership, Appalachian Studies and Global Studies. The Fiske Guide also gave quality of student life at Warren Wilson College five stars.